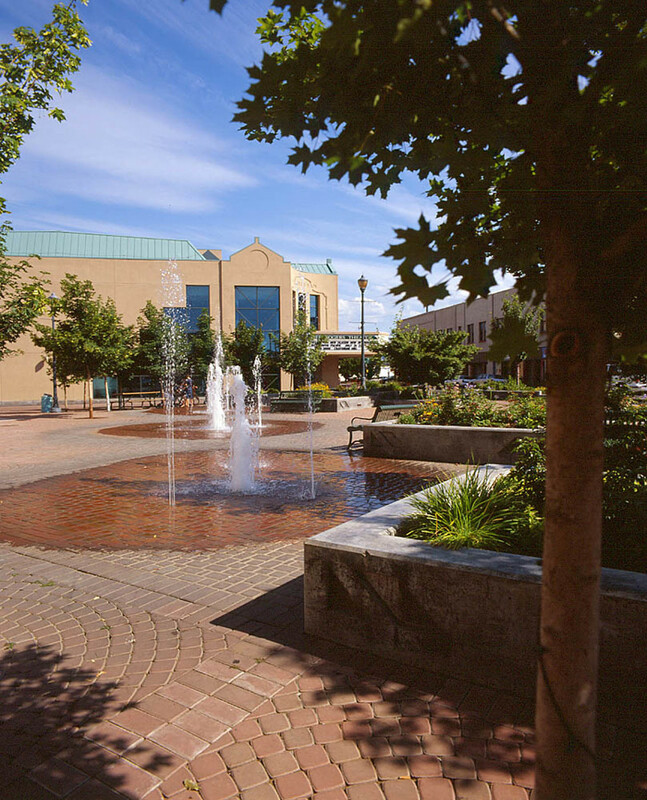 Vogel Plaza serves theater patrons at intermission, provides a gathering place for downtown employees, merchants, and visitors to relax, and provides a site for community events, including musical performances and the town’s Christmas tree lighting festival. 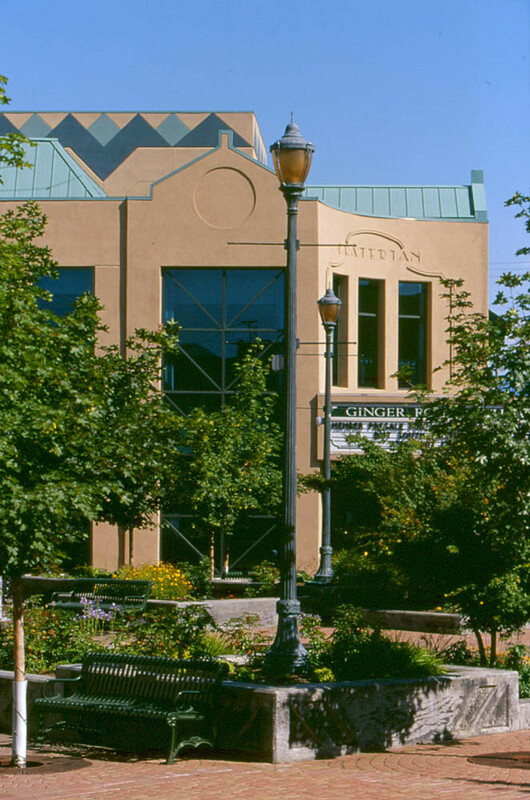 This urban plaza was designed as a foreground to the Craterian Theater to promote the revitalization of downtown Medford. Galbraith & Associates worked with the Medford Urban Renewal Agency and a steering committee to develop a design around the needs of the community, it includes zero depth fountains, picnic tables, benches, public art, and colorful raised planting beds. An adjoining alley continues the design, leading to a pedestrian path and parking garage. Vogel Plaza serves theater patrons at intermission, provides a gathering place for downtown employees, merchants, and visitors to relax, and provides a site for community events, including musical performances and the town’s Christmas tree lighting festival. Vogel Plaza has become a magnet for families on hot summer days and continues to encourage investments in the downtown area.